This synchro-system for combined corner cabinet doors is innovative in design, practical and customisable. 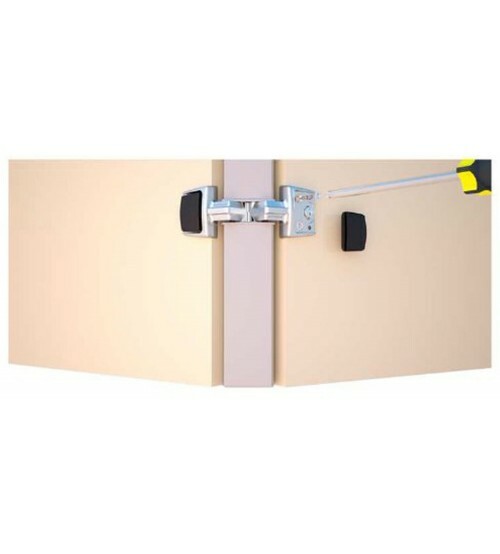 The RincoPlus40 corner cabinet hinge takes up to 40mm in 90 degree corners, regardless of the door thickness. The overall length is 715mm. 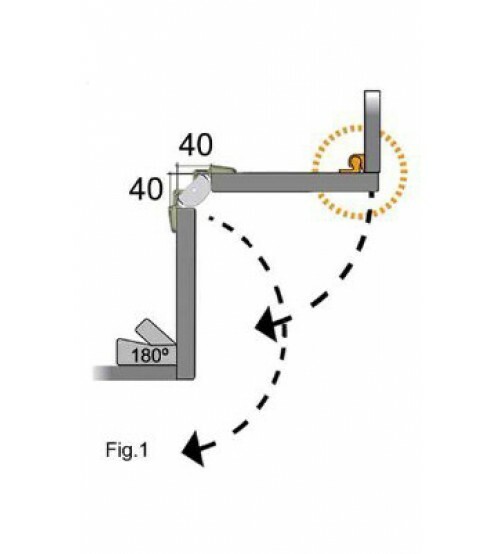 The exclusive RincoMatic catch is included and is easily installed, and allows the door to stay correctly aligned to prevent damage to the hinges and adjacent door over time. 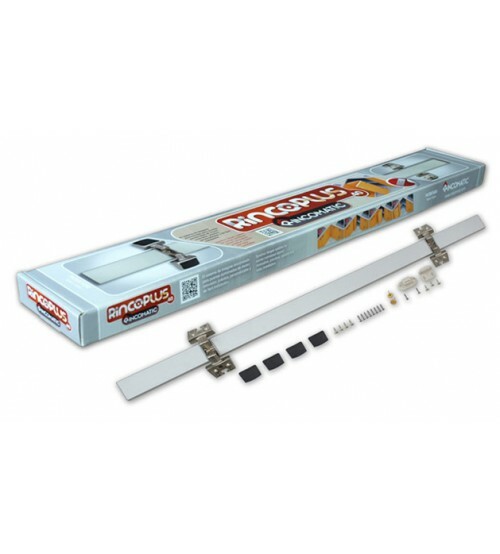 You can even check out how to install this product here and get further fitting instructions. 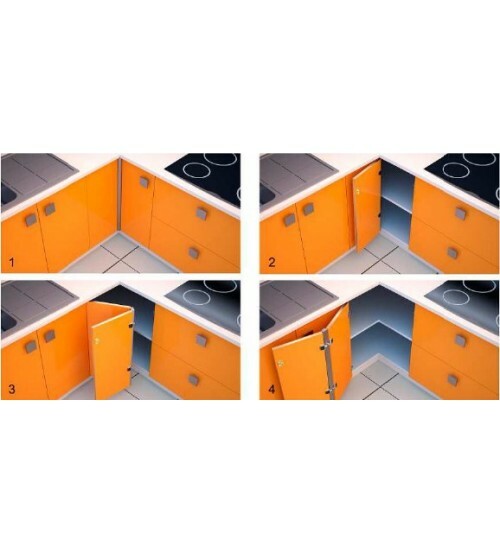 Want to enquire about the RincoPlus40 corner cabinet hinge solution? Feel free to contact our friendly team on 01202 857 140 to find out more, and get free delivery on orders over £120 at SCF Hardware.